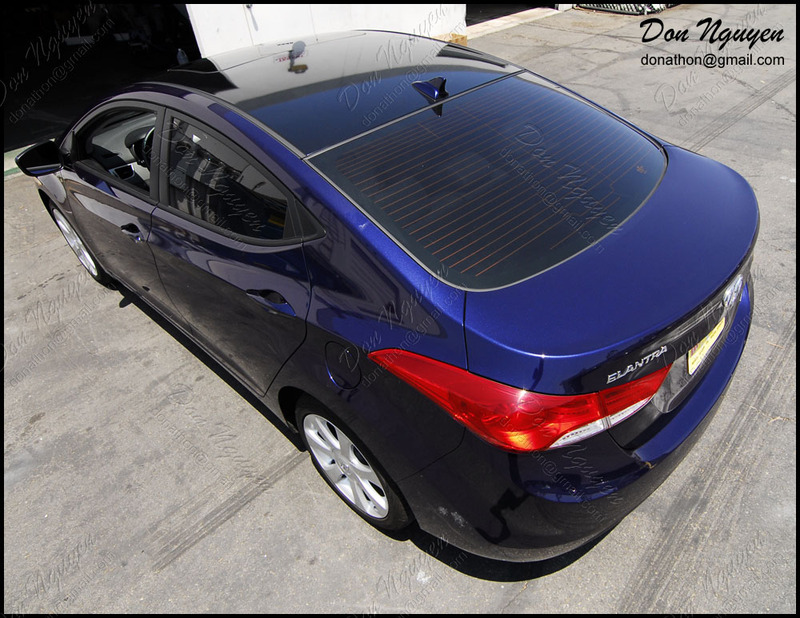 The owner of this blue Hyundai Elantra contacted me to see if I could vinyl wrap his roof in my gloss black material. The owner of this car was somewhere around Orange County or maybe Inland Empire area, and came out to me in Anaheim Hills. 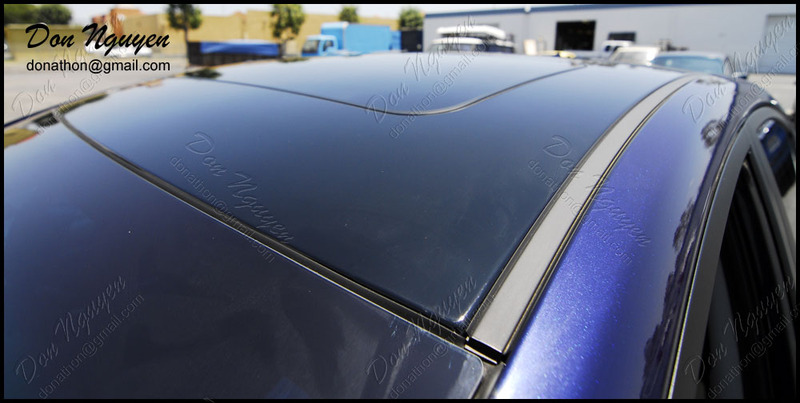 This will give a good idea to guys who have a blue car or just a darker colored car in general of how a gloss black roof looks like on their car. It is a very subtle addition. 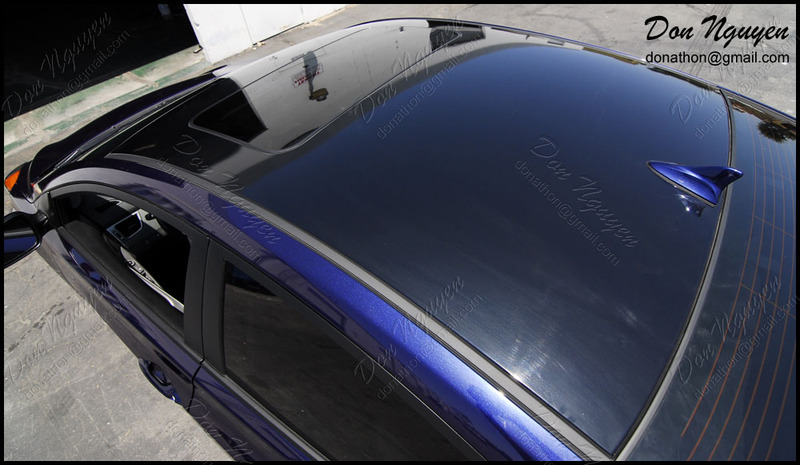 So if you're looking for something that stands out more, you'd want to go with a matte black vinyl finish. I forgot to clean the roof before we pulled the car out, so trying to clean the roof out int he sun/heat left a lot of water streaks which showed up in all of the pictures. I had some people ask for some closer up pictures, so I took some of around the front area, sides of the roof and around the antenna area to show you guys how clean everything is installed and there is no paint showing even around the antenna area.